We are now at full capacity for the Saturday and are no longer selling tickets that include Saturday (3, 2 or 1 day). We will not be selling tickets on the door, so please do not turn up if you do not have a ticket as you will be refused entry. There are currently still tickets available for Friday and Sunday, but be sure to book ASAP as we cannot guarantee that these will not sell out. 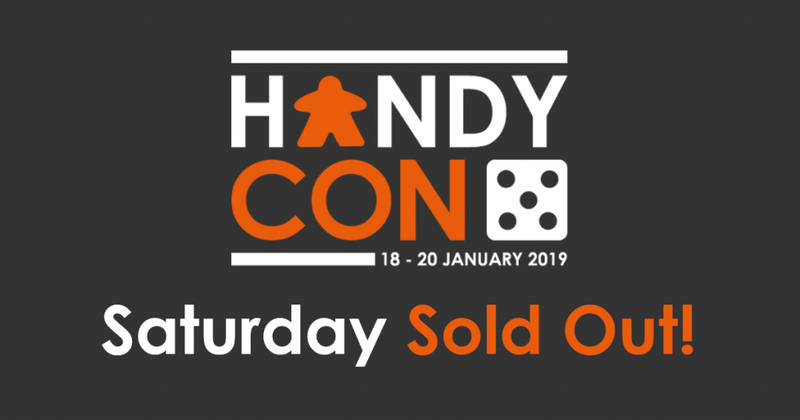 HandyCon 5 menus are now here! There are also various snacks and fruit available from the main hotel and HandyCon bars. 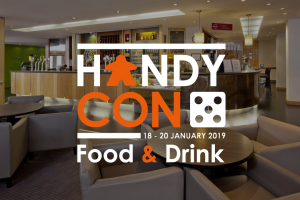 Free tea, coffee and iced water will be provided for attendees, available from the refreshment stations by the HandyCon bar and on the first floor break room (we encourage to bring their own travel mugs to cut down on waste). The bar also serves Starbucks Coffee and various soft and alcoholic drinks. You can find details of what is included and purchase them at the bar. Use #HandyCon5 to see your posts on the big screens at the con! We also run the ‘Ask for Angela‘ scheme which allows anyone to discreetly approach a member of the HandyCon team and ask for assistance.